Our product range includes a wide range of weather proof manual call point, flame proof manual call point and manual call point. As a noteworthy entity of this domain, we present patrons with the premium quality of Weather Proof Manual Call Point. 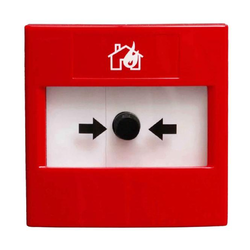 For triggering the alarm in case of fire, the presented manual call point is used in various buildings. 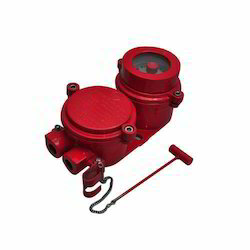 In order to meet the precise needs of our patrons, we present the manual call point for flush or surface mounting. 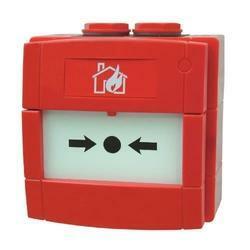 Counted as first among the best, we provide patrons with the premium grade of Flame Proof Manual Call Point. Known for its high functionality, the fame proof manual call point is used to trigger an alarm manually in case of fire. Designed by using latest technology, the manual call point is presented with hammer and chain. We are a unique name in the industry to provide our prestigious clients an exclusive range of Manual Call Point. Offered call point is exclusively manufactured using the optimum grade raw material and modern technology in synchronization with the set industry standards. Owing to its specific usage in various industries, companies and buildings for security purposes, this call point is very popular among our clients. Furthermore, to ensure the best quality, the provided call point is stringently tested by our quality auditors.